Come down and join the Third Year BA (Hons) Conservation and Restoration students display their work in their final exhibition of the year. All are welcome to LSFM’S Contemporary Lens Media Degree Show 2016 in the Architecture and Design Building! There is such a broad variety of work to be seen across multiple genres in both still and moving imagery. Join the students Friday 27 May at 7pm in the AAD west atrium and photography studio. Then the show’s open daily, including this weekend & Bank Holiday Monday, until June 10th from 10am-4pm. 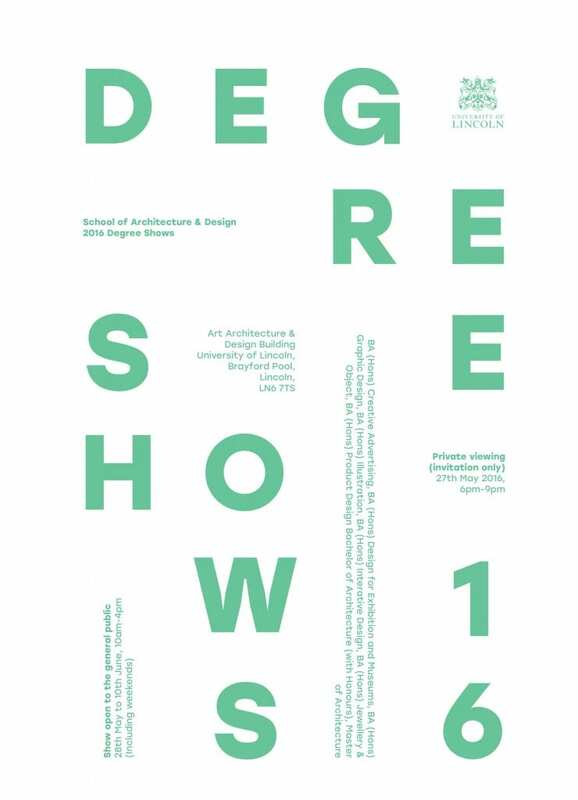 This years Degree Shows for The School of Architecture and Design take place on Saturday 28th May – 10th June; 10am – 4pm; Including weekends! There will be a private viewing for invited guests on Friday the 27th; 6pm – 9pm!